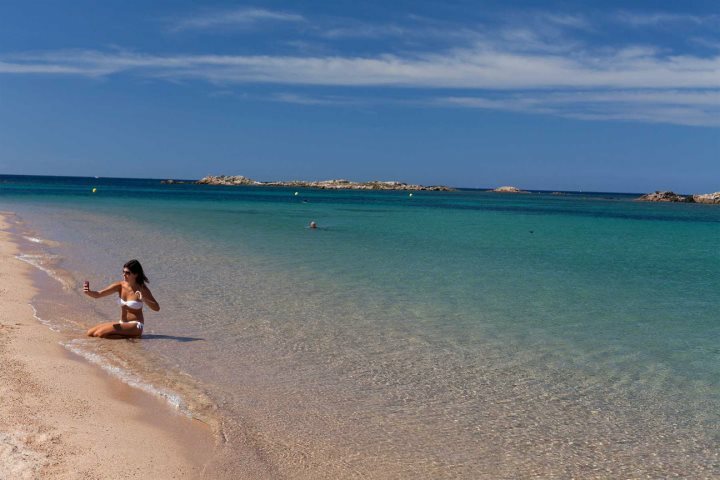 Corsica is a convenient holiday destination for many reasons; it’s only a couple of hours’ flight time, it’s nice and hot, it’s got the beach and magnificent mountains, and the French food is tasty to say the least. It’s also relatively untouched by tourism, especially when you compare it to other, popular holiday destinations. 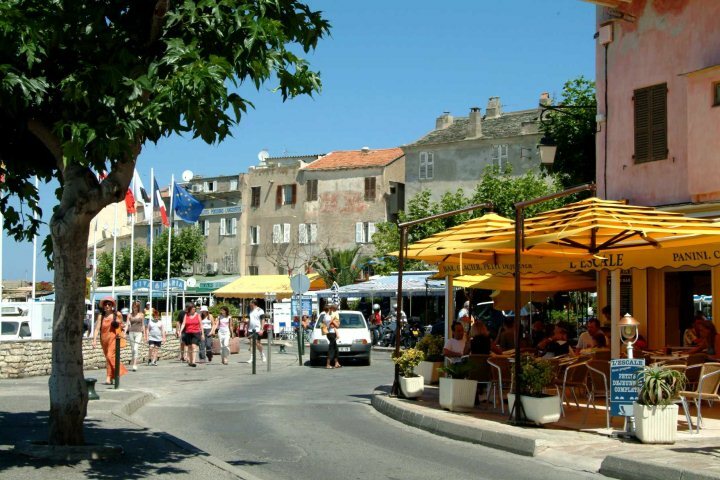 Le Home Apartments often come top of our lists due to their superb location – they’re just a short stroll from the main resort of Calvi, where not only will you find a variety of shops, bars and restaurants, but also a magnificent citadel and a sweeping, white sandy bay. What more could you ask for? 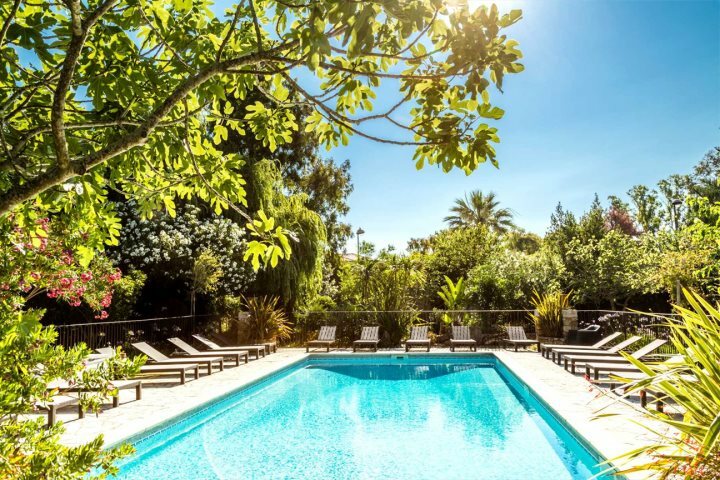 Choose from a studio or one-bedroom apartment, and you can relax by the two pools, nestled in pretty gardens, or head out for a look around the town. 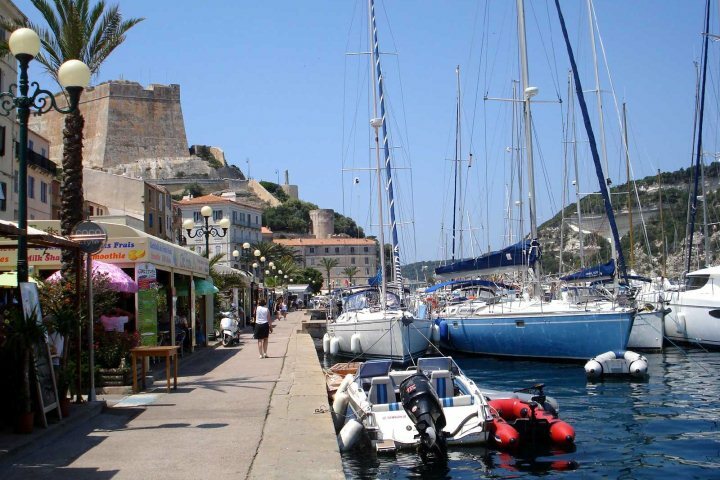 Above: Calvi beach, harbour and citadel. Chez Pamela is also a wonderful option for couples. 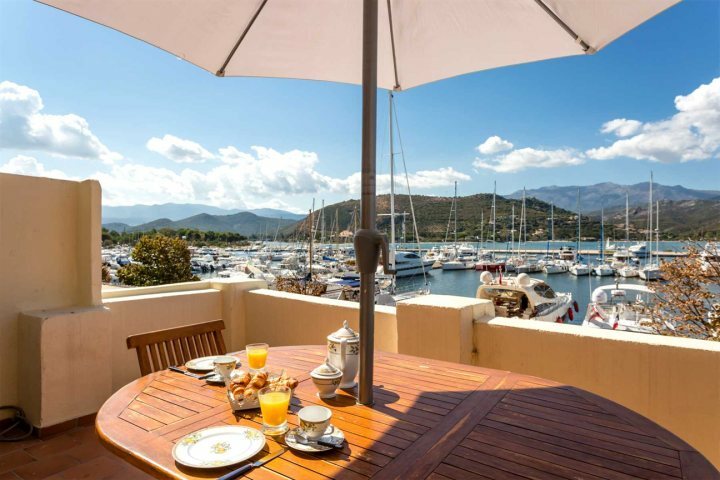 A quaint little apartment with a home-like, traditionally Corsican feel, you’re slap bang in the middle of St Florent’s picturesque harbour. Explore the shops by day and the restaurants by night, or embark on a sightseeing boat trip, the choice is yours. Casa di Sole offers couples and small families a wonderful countryside base, where you can bask in the sunshine next to the private pool, dine al fresco on the terrace and head out and explore the small village of Lecci, which is 1km away. Although you’re not within walking distance of the beach, this is a superb, secluded escape, and the beach is only a short drive away should you wish to feel the sand between your toes. 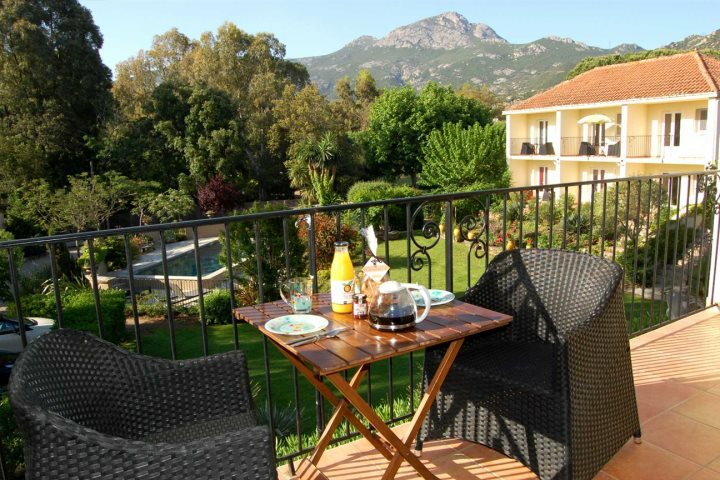 Bergerie Murtetu is sure to satisfy anyone looking for a holiday base with fantastic panoramas. 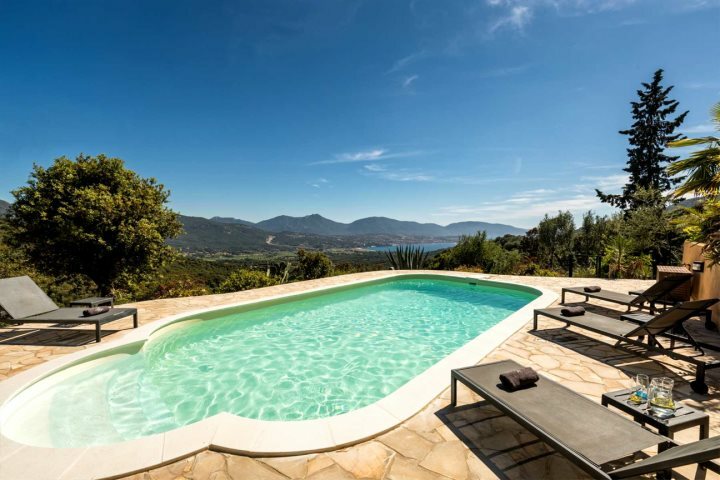 The private pool overlooks the Valinco Gulf, and it’s impossible not to be impressed by the mountains merging into the ocean. 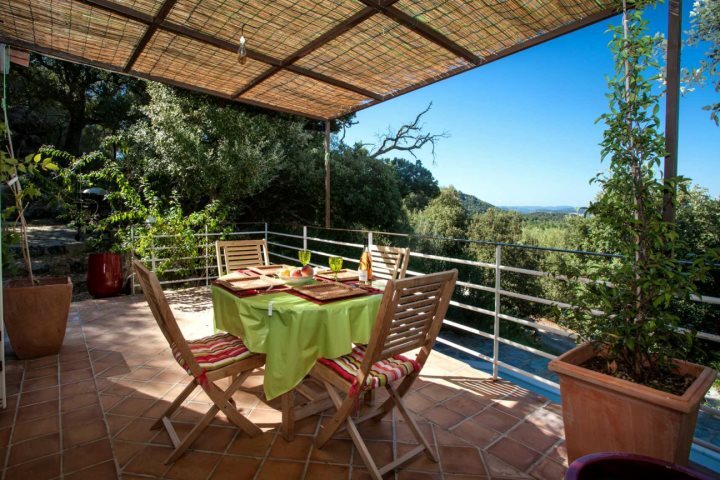 The property itself has an authentic charm, surrounded by olive trees and fragrant maquis. Sleeping up to six guests, it’s ideal for families and small groups. 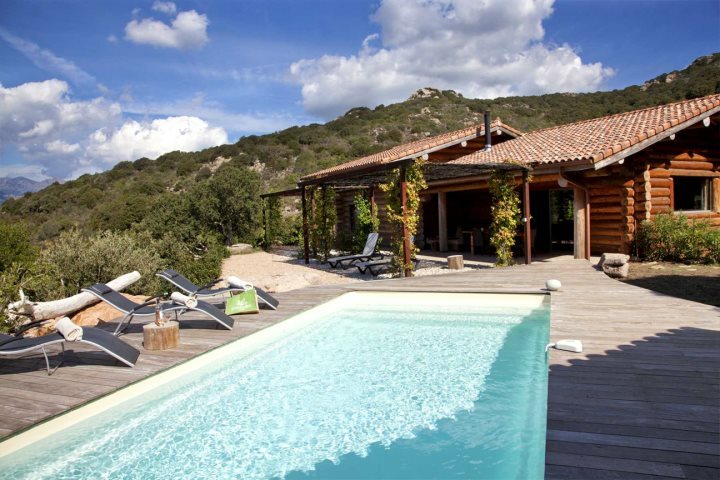 Casa Laricciu is best described as a log house in the countryside, with a very comfortable, rustic appeal. 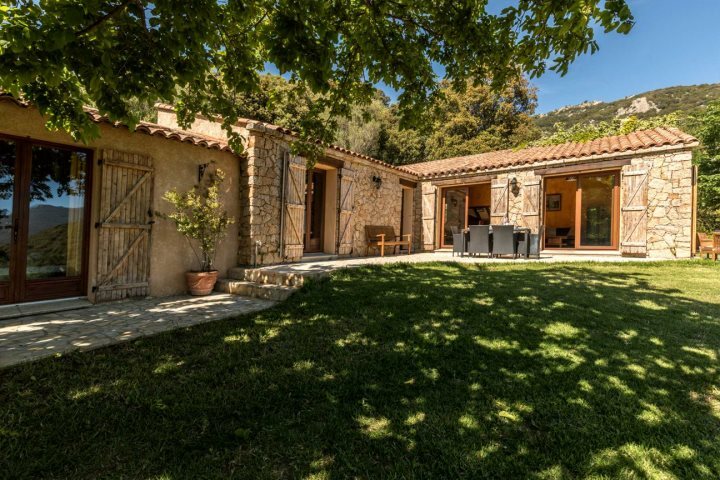 Sleeping up to six guests, this property can be found in the Figari hills, boasting some beautiful mountain vistas from the private pool and outdoor summer kitchen. 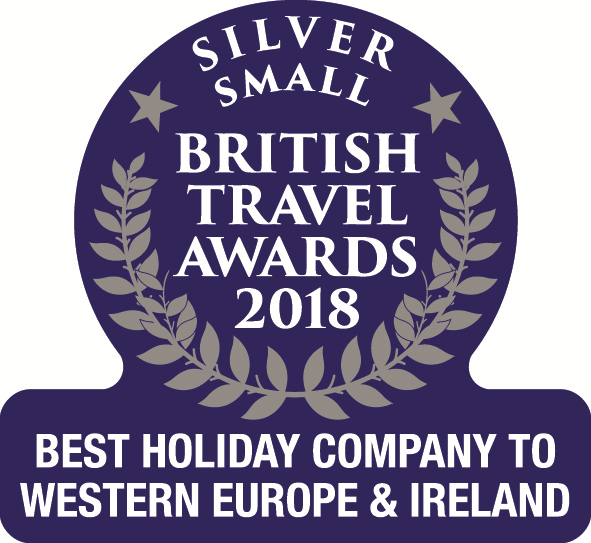 This is the ideal choice for those wanting a peaceful break, however you’re still not far from the fortress town of Bonifacio, and the glorious crystalline beaches of the south. 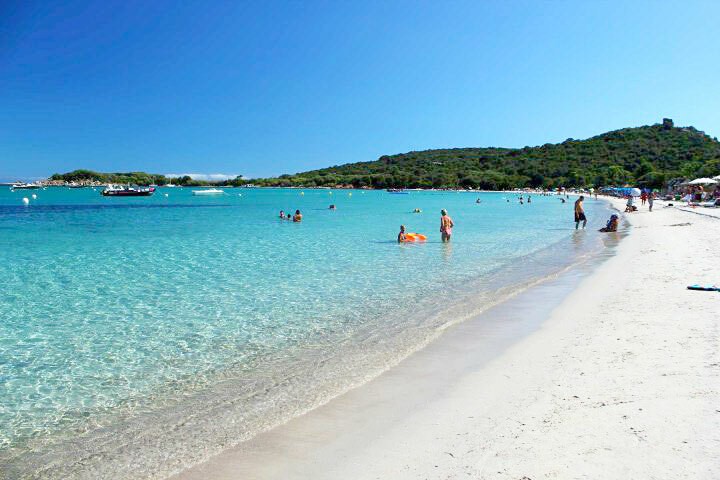 If you’re feeling inspired by a holiday to this beautiful island in the Med, take a look at all our holiday deals here.